By now you’ve probably seen an infomercial, seen the cute little color-coded cups, or know someone who’s done it. 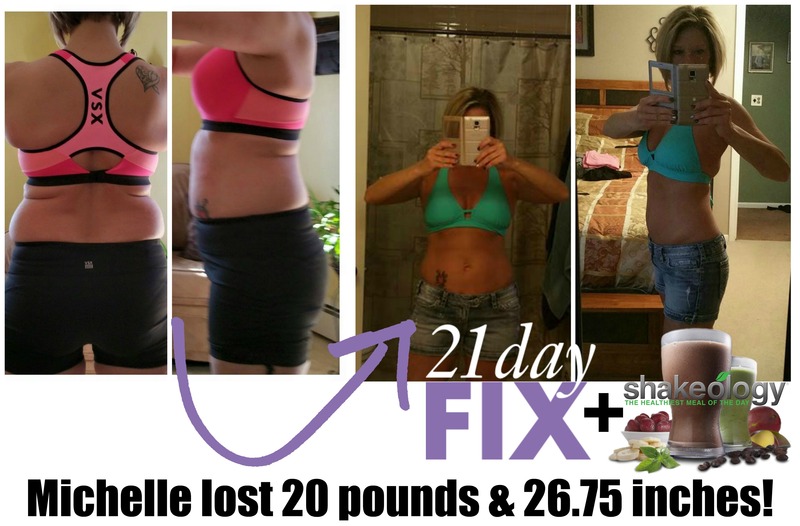 Either way, the 21 Day Fix has gained enormous popularity for one reason…it really, actually works! But don’t take my word for it! Come and see for yourself! We’ll give you a peek at the workouts, explain the containers and the meal plan, show you some transformation stories and let you hear from the creator Autumn Calabrese. We’ve each done the programs (21 Day Fix & 21 Day Fix Extreme) several times, and have supported our challengers and customers who use these programs, too. We will answer any and all of your questions so you can decide if this program would be a good fit for you! We did a similar group in June (the sale was extended through the end of July! ), and check out the results and testimonials of some of the ladies who “peeked” last month and are just a couple weeks in to their 21 Day Fix! *It’s on crazy, super sale this month, cheapest it’s been and ever will be, so now is a great time to check it out! Want to join the sneak peek and see what this is all about? Previous PostPrevious What’s HOT in July! Next PostNext No Excuses in August! Everything is on Sale!